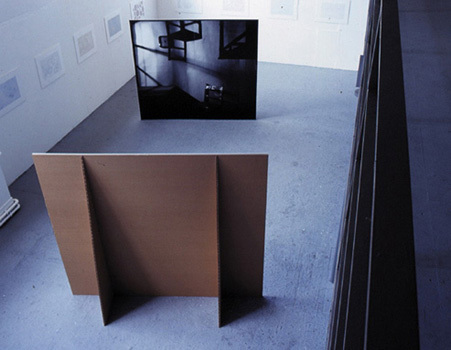 Crisis of Reason. 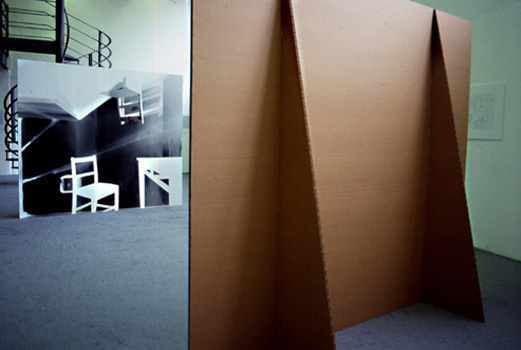 Two identical and adjoining life size cardboard rooms function as a giant camera obscura. 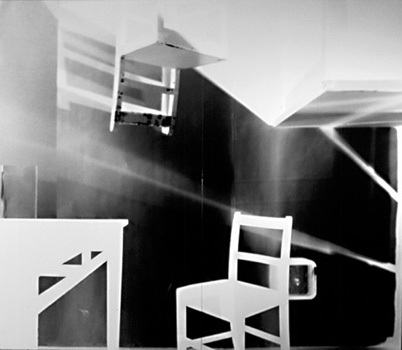 By lining one of the back walls with photosensitive paper the construction photographed itself - recording both the silhouhette of the furniture within the one room and the inverted photographic image of the adjoining room. 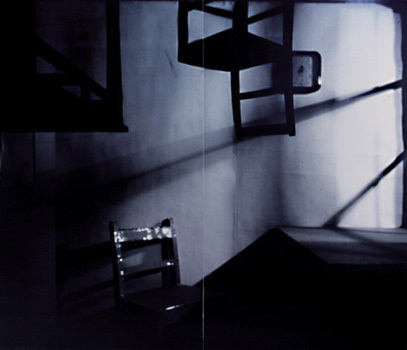 The resulting lifesize images use a strong play of light and shadow to describe several coexisting layers of space infused with a mood of quiet solitude.